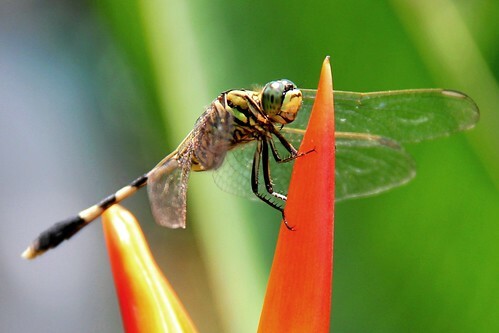 Last week we were checking out some of the exotic flowers here on Bali and we came across this friendly dragonfly. He hung out on this flower, staying very still and cocking his little head at me while I took at least a dozen photos. I got the distinct impression he was as curious about me as I was about him. After I capped my lens he went about his business and eventually flitted away. This photo is awesome, Ashley! Looks like it belongs in a magazine. We are currently back in Istanbul to bring our friend back to the airport. We are staying at the Red River Hostel – definitely much cheaper than the last hotel we stayed in near the Blue Mosque! Thanks again for all the great recommendations. Your photos are SO gorgeous!! Maybe you can share some tips with Marika when you’re here. She’s a budding photographer. Definitely, but from what I’ve seen from her, she’s got way more talent than I ever hope to have!